"We are delighted to enter the Malaysian market with such a spectacular property, which will benefit from its proximity to one of Southeast Asia’s busiest international air hubs," said Mark Willis, president – Asia, Mövenpick Hotels & Resorts. 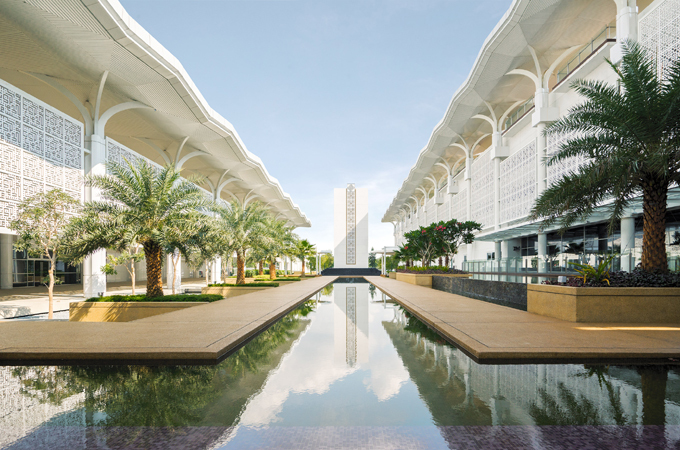 "With its distinctive design, prime location and impressive facilities, the hotel is set to become one of the region’s leading venues for meetings and events and will further cement Mövenpick’s presence in Asia, where we are rapidly expanding our portfolio." The main hotel building also features four modern meeting rooms and two boardrooms, which range from 35 sq m to 109 sq m and are well suited to corporate retreats and strategy meetings. The property’s leisure offering includes separate male and female swimming pools, fitness centres and spa facilities that include outdoor spa pods. For families visiting the hotel, there is also a children's swimming pool, kids club, playground and tennis court. "Mövenpick Hotel & Convention Centre KLIA is an important new landmark that caters to a range of guests, from transit passengers, tourists and corporate clients to large groups such as visitors during the annual hajj," said Hairul Maharis, the hotel's general manager. "We look forward to welcoming everyone to this spectacular new hotel."